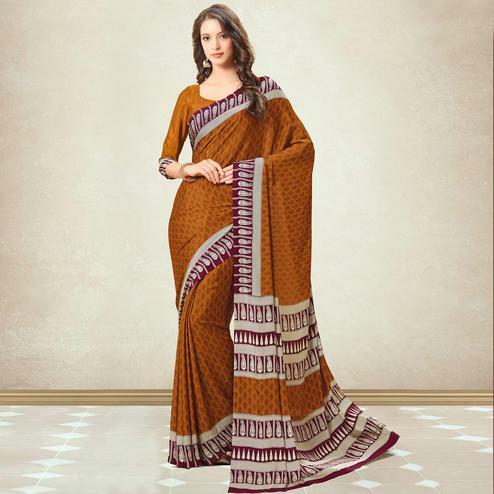 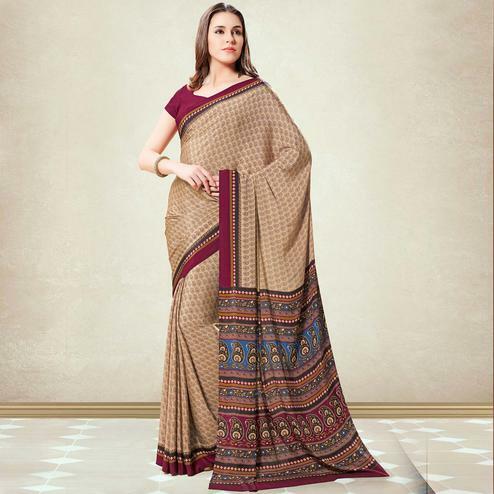 Expect compliments to be on their way as you dress yourself in this rust brown designer saree. 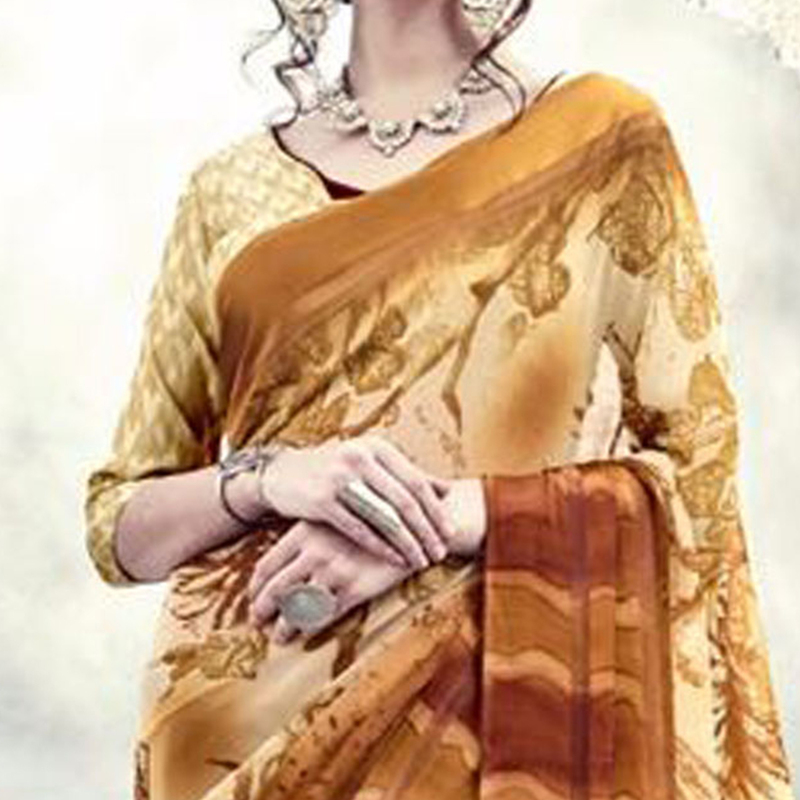 This saree is crafted on georgette satin fabric with attractive pattern fancy print & satin lace work as shown. 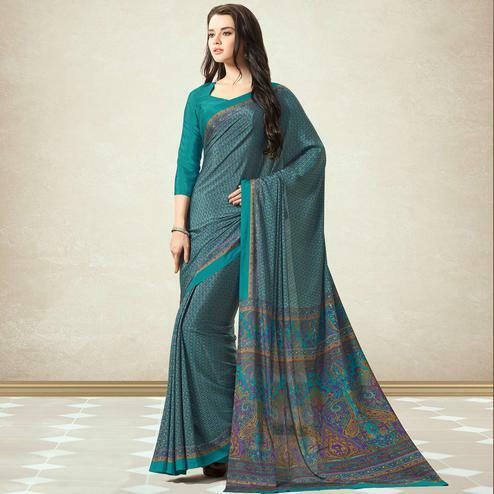 It's a perfect saree for casual outing, kitty parties & weekend get together.